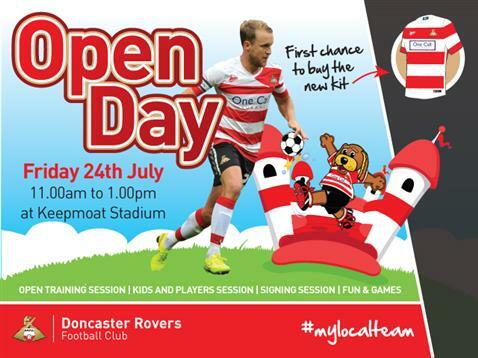 On Friday 24th July DRFC launch the 2015/16 season with an open day at the Keepmoat Stadium between 11am and 1pm. There will also be plenty of fun activities on offer too including: face painting, an inflatable bungee run, a human table football, football speed shot and crazy golf. It will also be your first chance to get hold of the brand new home kit which goes on sale the same day. Best of all this event is FREE to all fans.